TORONTO- Apple has cemented its dominance as the most popular mobile platform among application developers while Google’s Android has receded and Research In Motion’s devices plunged anew, according to a quarterly survey that may signal sales trends for mobile devices. The survey, which asked developers if they were interested in writing programs for various devices, showed Google’s Android slipped even though sales of devices powered by the operating system surged. The platform is fragmenting as an array of hardware makers adapt it in different ways for their devices, unlike Apple’s platform, which is used exclusively by the maker of the iPhone and iPad, said Mike King, a strategist at Appcelerator. The firm, which works with developers, conducted the survey in conjunction with IDC, a research firm. “The fragmentation of the platform, which Google seems unable to curtail, is driving this drop in interest,” King said. Developer interest is a useful indicator of broader support for a platform as consumers are drawn to devices that can perform specific tasks such as checking news or stock prices, tracking jogging distances or finding restaurants. In a second finding by the survey, app developers said they expected Google’s extensive reach to help its new social media platform to catch up with Facebook eventually. The search engine company launched Google+ last year, but it has so far failed to dent the dominance of Facebook, which has nearly 900 million users, half of them using a mobile device. Two-thirds of those surveyed expect Google’s army of services such as Gmail, search, Youtube and Google Maps to give it momentum in catching up to Facebook. “The engagement with the developers gives Google the ability to punch well above its weight in terms of mobile and social,” King said. Almost nine in every 10 developers surveyed said they were ‘very interested’ in developing for iPhone and iPad, while eight in 10 had interest in Android phones and only two-thirds were interested in Android tablets. Most said they plan to use at least some HTML5 web-based code in their mobile apps, which can help to free developers from the restrictions of app stores and broaden their reach. Interest in Microsoft’s Windows Phone 7 was steady at 37 percent, while Research In Motion’s BlackBerry fell sharply again, with less than 16 percent expressing an interest, down from more than 20 percent three months ago. The survey was conducted January 25-27 and February 21-23, just as RIM was launching a major upgrade to the QNX software on its poor-selling PlayBook tablet. QNX will also power RIM’s next-generation handsets, due later this year. 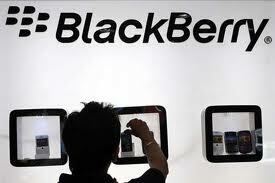 “Developers are taking a wait and see approach with QNX,” King said. The survey questioned almost 2,200 developers, about 38 percent from Europe, 34 percent from North America and 28 percent from elsewhere.